KUALA LUMPUR (Oct 5): AirAsia X Bhd's three-times-a-week flight to Mauritius from Kuala Lumpur has kicked off, with the airline's inaugural flight to the tropical island landing at the Sir Seewoosagur Ramgoolan International Airport today. At a celebratory event following the arrival of the flight, AirAsia X also announced special all-in fares from as low as RM199 (one-way on standard seats) and from RM1,599 (one-way for premium flatbeds), for all guests. "These promotional fares will be available for booking online from 5 to 9 October 2016 at airasia.com as well as AirAsia's mobile app on iPhone and Android devices, and the mobile site mobile.airasia.com, with the travel period from 5 October 2016 until 31 March 2017," said AirAsia X in a statement today. Guests aboard the full flight today included the High Commissioner of Mauritius to Malaysia Issop Pattel, chairman of AirAsia X Tan Sri Rafidah Aziz, AirAsia X group chief executive Datuk Kamarudin Meranun, and AirAsia X CEO Benyamin Ismail. "We're very excited to be here today, charting a new continent on the route map of AirAsia X with a 100% full flight. The strong entry into this market has given us the confidence we need to grow this direct flight between Mauritius and Kuala Lumpur, operated exclusively by AirAsia X. 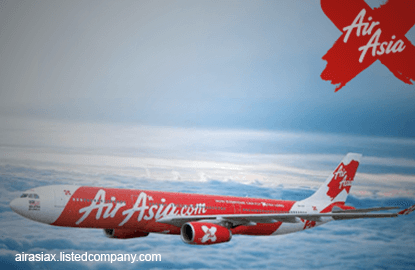 "Together with our short-haul affiliate AirAsia Group, our guests can now fly into Mauritius from any of the destinations within our extensive flight network across Asia, Australia and the Middle East via Kuala Lumpur, Asia's low cost hub," said Benyamin.